- Only scouts in leadership roles and uniformed leaders need to attend. - Any scouts who have completed a rank AND have had a Scoutmaster conference should contact Mrs. Bazarian to be scheduled for a Board of Review. - Camp Sequassen, July 21st - 27th. Click here for our comprehensive web page and here to see a video. Scouts are required to volunteer 12 hours of community service each scouting year. You're encouraged to earn more. For the comprehensive list of opportunities, click on the "activities" link above. While we have a scout run troop, adults are needed to supervise the program. 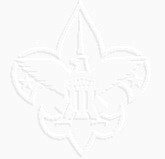 Please help the scouts make the most of their experience by becoming an Assistant Scoutmaster. With the cost covered by the troop, the first step is attending the mandatory class, "Intro to Outdoor Leadership Skills". It will be offered at nearby Hoyt Camp in Redding on April 12th - 13th, or at Deer Lake Scout Camp at Killingworth, Conn. from April 26th - 27th. In addition to helping scouts, being an ASM will create life-long memories for you. Please contact our Troop Training Coordinator, Kristine Keaveny, with any questions about ASM training. For more information about the April 12-13 session, click here, or here for the April 26-27 session. Thank you for volunteering. Check out a new series of short videos from Boy Scouts of America about current topics. 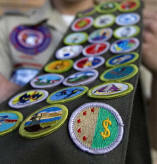 Our troop needs parents to become Merit Badge Counselors. We need counselors for the following Merit Badges: Citizenship in the Community, Nation, World, Environmental Science, Cooking, First Aid, Emergency Preparedness to just name a few. There are many many other badges as well. If you have any interest in becoming a Merit Badge Counselor, please reach out to SM Breitenbach. The Planned Activities Calendar for the scouting year is available here. Please keep in mind that it may be revised. BSA Resource Book...games, scouting glossary, etc. © Copyright 2019, Boy Scout Troop 76, Ridgefield, Connecticut. All rights reserved.